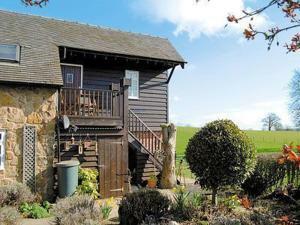 Situated in Kenley, this holiday home is 14 km from Shrewsbury. The unit is 36 km from Wolverhampton. The kitchen is fitted with an oven and there is a private bathroom. Towels and bed linen are provided in this self-catering accommodation. See all Studio Flat reviews..